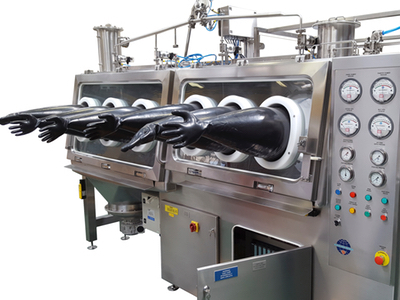 Demand for containment solutions in the pharmaceutical industry remains steady but an escalation from food, chemical, cosmetics and detergent industries brings new challenges. Positively, these challenges are driving innovation in containment design and bringing new growth to the market. With each new development, the scope of contained processing capabilities expands further and an eager market awaits with increasing expectations, and an appetite for the manufacturing opportunities created. The challenges facing containment solutions providers have never been greater. 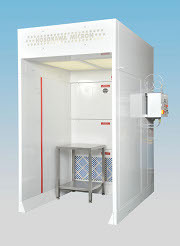 The development of increasingly potent and potentially toxic pharmaceutical products remains a key driver in the development of isolator/gloveboxes capable of achieving ultra-low occupational exposure limit (OEL); down to 10 ng/m3 and operator exposure band 6. With operator safety of paramount importance, the challenges of delivering even lower OELs will continue to push technology advances. Today containment levels, previously only seen in the pharma industry are now being adopted into other industries; each with its own industry-specific standards, manufacturing procedures, applications and codes of practice. The complexities of transferring isolator technology into different processing applications are not straight-forward. For example, when designing an isolator/glovebox it is not just the normal operating conditions that need to be considered, but also safety under failure that may cause exposure to hazardous materials: a failure of the process, or a failure of the containment itself, such as a breach condition eg a glove being ripped or similar. Neglect this and it could be catastrophic. 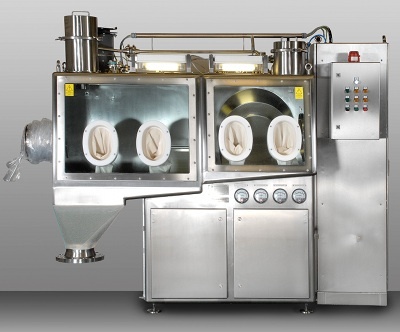 GMP manufacturers are seeking an enclosure to provide a contained environment around their processing activities and are increasingly looking for fully contained process solutions that deliver a streamlined production route to multiprocess integration. Complexity of manufacturing stages addressed in containment, and demand for multitasking operational integration are today’s chief drivers of isolator innovation and process system design change. The best result requires combined processing expertise as well as containment know-how. 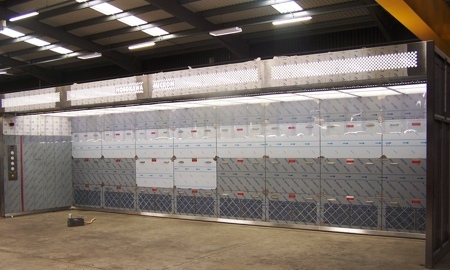 The challenges of integrating multiple pieces of equipment within a containment solution include issues with layout of the equipment, the process, size and operation of the equipment, and access to it. To facilitate such integration Hosokawa has redesigned and scaled its mixer and mill portfolio to address some of the issues of installation and cleaning within isolators. Clean in place (CIP), a critical requirement in GMP industries, is the preferred alternative to the removal of equipment for external cleaning due to inherent contamination risks. With this in mind, Hosokawa has created its mills for easier cleaning; often in a crevice-free Monobloc design. Through the wall designs mean all mechanical and electrical services are out of the clean area to facilitate cleaning and maintenance and ensure product integrity. Machine accessibility has been addressed using redesigned mill openings, using cantilevered arms and single finger door hinges that take the weight of the door, allowing the operator to hold the door with one finger – a real advantage when working through a glove port. Production flexibility is a driving force across manufacturing in today’s consumer orientated world. Rapidly changing consumer demand means production agility and nimble responses are vital. The accommodation of a variety of tasks and volumes handled is increasingly significant and a game-changer in capital investment decisions for containment solutions. 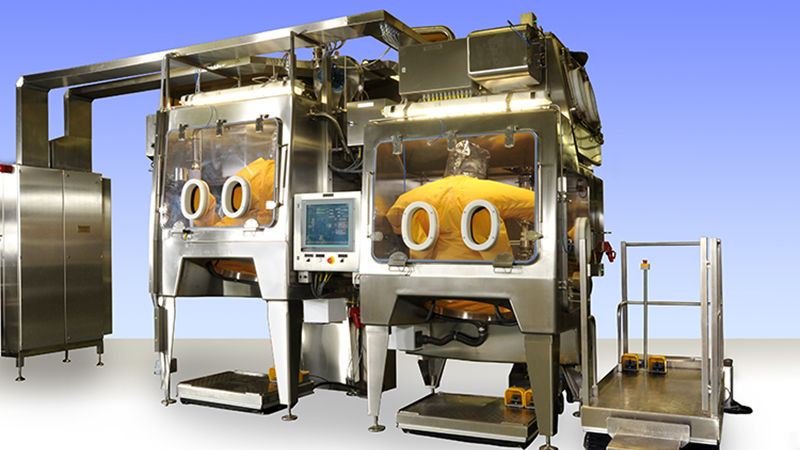 Operation of a process within a containment solution can be restrictive and the design of isolators can have a large impact on human performance. 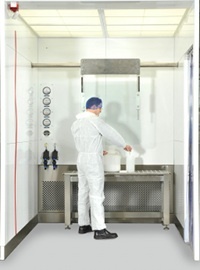 Designing tasks, equipment and isolator workstations to suit the user can reduce human error, accidents and ill-health. The potential impact of isolator operatives working on more complex and possibly lengthier manufacturing processes increase the demand for more ergonomic designs. By combining ergonomics with human factor engineering, isolator manufacturers can ensure the best possible design solutions for operator and manufacturing performance, and health and safety. A thorough understanding of the working processes involved from the end user perspective is vital; it can only be achieved through a close working partnership between customer and containment solutions provider. 3D and airflow modelling are invaluable for complex, multi-use operations, showing how equipment and personnel placement can potentially compromise airflows and scheduled tasks. The implementation of the latest virtual reality (VR) technology allows visualisation of a virtual isolator or full processing system for demonstration and assessment prior to manufacture. This is particularly welcomed by customers seeking commercial advantage through process design changes, complex operational requirements as well as those with integrated installations, or ‘shoe-horned’ installations within existing process lines or restricted spaces. Flexibility has influenced two very different containment design solutions. 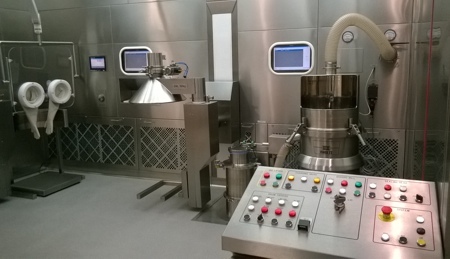 When a pharmaceutical manufacturer saw the opportunity to future-proof complex API production through more flexible production combined with the chance to enhance operator protection, it led to the commissioning of a contained API particle size reduction facility that incorporated interchangeable, multi-powder, ultra-fine particle size reduction with three skid-mounted mills. 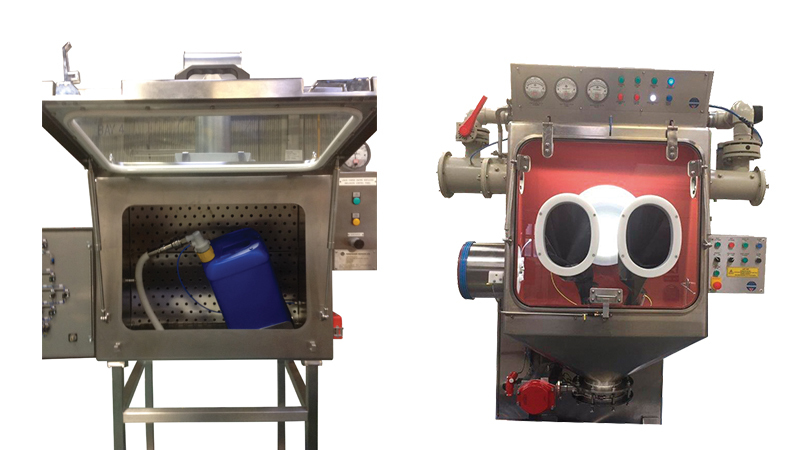 Multi-feed options of screw feeder, rotary valve and manual hopper feed delivered large and small batch capability. Delivering an OEL of <1 µg/m3, the dual celled operation became the first size reduction facility of its kind to offer such high levels of ‘complex but not complicated’ operational flexibility. Demand is also on contained systems that offer flexibility in handling raw materials. This could be down to cost-effective purchasing opportunities or recipe ingredient fluctuations, or onward processing demands. A dye manufacturing company needed a containment system that could offer safe and flexible handling operations across inconsistent drum sizes. The opportunity to eliminate manual intervention in reactor charging would deliver operational change, greater production flexibility and significantly benefit the business and its workers. The solution? An isolator chamber was mounted directly above the reactor vessel enabling product transfer by gravity, thus eliminating manual intervention. This system allows the presentation of drums and kegs of different sizes and weights to the isolator via a roller track. Drums are connected to a drum tipper, delidded and bags opened before special container clamps suitable for handling a range of weights/sizes attach the drums to the lifting/tipping device. The drums are then automatically lifted, rotated and dropped onto the reactor where they are located into position to secure and reduce dust creation on discharge. 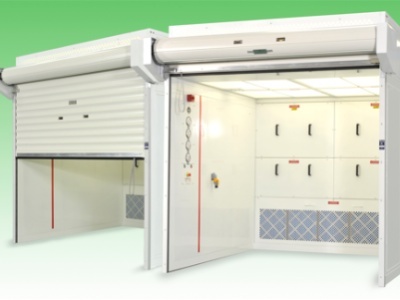 The system is operated under a nitrogen blanket to minimise dust explosion risk and is engineered for ATEX compliance with drum lifting and rotation operated by intrinsically safe air motors. Another example of how design meets containment requirements is a liquid dosing solution delivered to eliminate operator exposure during raw material dosing and denaturing of containers, which enabled direct dosing into a mixer. 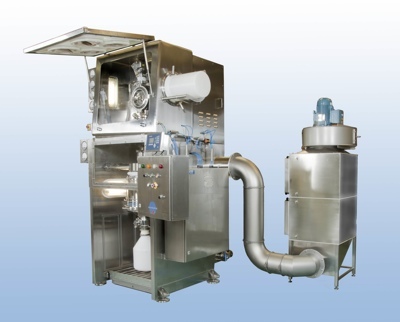 The design moves away from conventional IBC-based (intermediate bulk container) and large dosing systems, yet meets the customer's demand for short batch cycle times, high dosing accuracy and variable container supply format of raw materials. In this case, raw material containers are placed inside the ventilated box where the container cap is removed. Hosokawa redeveloped and integrated the dip-pipe to ensure the inlet is located within one of the wells inside the container for optimum and repeatable emptying. The door on the ventilated box is closed and fully interlocked before a button-operated optimised top pressure is applied to the container so the raw material is dosed safely into the mixer. 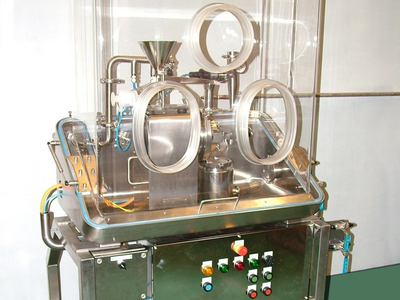 The hose from the dosing system is disconnected and CIP nozzle connected for cleaning and denaturing of the transfer line and container.